At Ratio Vending, we pride ourselves on offering great tasting hot drinks solutions for every office. We offer a wide variety of equipment to suit any budget, office environment, and workforce no matter how large or how demanding! 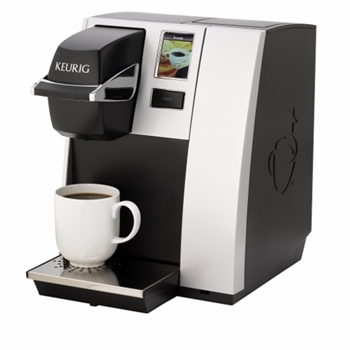 We believe that coffee machines should be considered a vital component of any office environment. Staff can make a cup of coffee that is guaranteed to be tastier than almost anything made with a kettle. On top of that, an office coffee machine will prove a lot more convenient and affordable in the long run than endless trips to pricey high street coffee shops. Not everyone likes coffee. No problem! Some of our Office Coffee Machines offer a range of drinks that stretches far beyond the fine selection of gourmet coffees. With choices of teas, hot chocolates, and even some speciality beverages, it really is possible to make everyone happy. 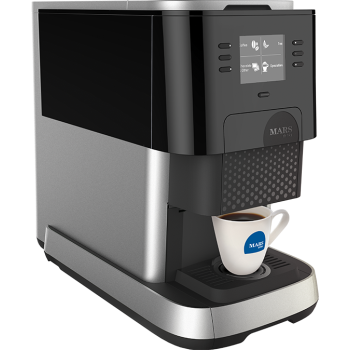 Popular office coffee machines in our range include the Keurig® K140 Brewer and the Flavia Creation C500 Both of these high-quality table-top machines offer an ideal combination of clean, reliable and easy operation, along with fantastic and varied range of delicious beverage options. For a more gourmet option, the Lavazza LB2301 and LB910 models allow you to bring the exquisite excellence of an authentic Italian espresso to the workplace. Finally, for the ultimate in indulgent luxury we also offer a choice of superb bean to cup machines. Such models as the Bravilor Esprecious, the Coffetek Vitro, the Melitta Bar Cube 2 and the Franke Flair are capable of producing coffee so fresh, so wholesome, that it’s like having a qualified barista on your team. If you have any questions concerning our range of office coffee machines, or if you would like a quote for your business, call us on 028 90 826 562 (NI) or 1890 321 000 (ROI), or email sales@ratiovending.com. 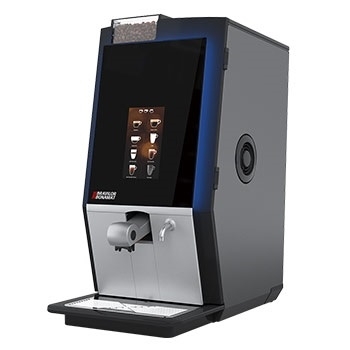 A fast and efficient hot drinks machine, the Bravilor Bonamat Bolero XL 423 provides rapid dispensing of up to 9 different drinks options at the simple touch of a button. Incredibly easy to fill and maintain, the Bolero XL 423 is ideally placed in busy self service areas. Please note the Bolero uses instant ingredients and as such is not a bean to cup machine - its included in the Ratio Vending range to provide an excellent option for those who are interested in bean to cup machine but find the cost or the maintenance requirements impractical. Combining stunning design and proven robust technology, the Vitro bean to cup coffee machine range from Coffetek is at the cutting edge of hot drink dispense systems. 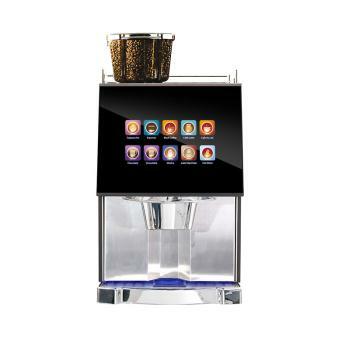 Offering a number of configurations including soluble, bean to cup and espresso. This coffee equipment is finished in smoked glass and the angular design with chrome finish trim provides a contemporary feel.